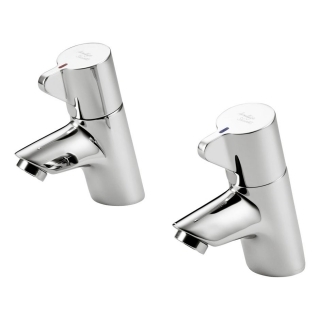 Water saving vandal resistant lever operated brassware. Durable easy clean design with clearly marked (non rub off) hot and cold markings. Includes additional water saving outlet, anti-vandal nozzles with max. 5 litre per minute flow.